We've just rolled out a new Coupon Action that you can add to your promotion under Social Actions > Coupons. We support providing users with both static coupons (one coupon code for everyone) and dynamic coupons (upload a CSV file that distributes a unique code to everyone). You can provide users with a coupon as soon as they enter your promotion, all they need to do is click on the coupon to unlock it. 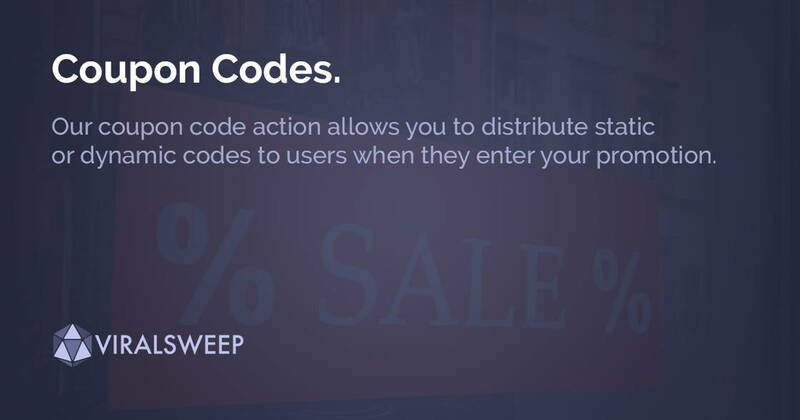 You can also require users to complete a certain amount of actions before they can unlock their coupon.